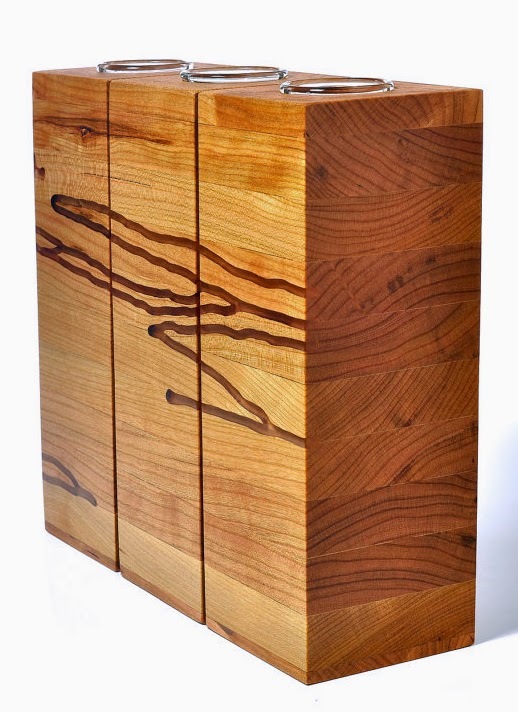 Furniture as One-of-a-Kind as the Naturally Beautiful Grain of its Wood. If You Can Dream It, BDJ Can Build It. Pretty Much Any Wood & Shape. 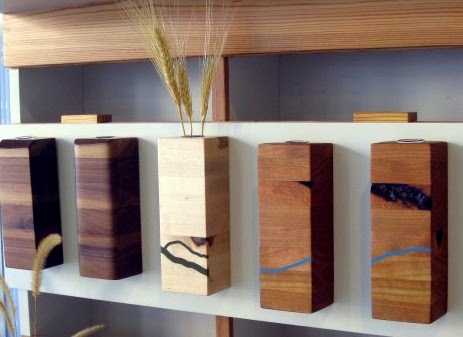 Some artists start small and work their way into large scale pieces, but for Brian David Johnson, it was several years in carpentry and furniture making that led him to create his own line of smaller wooden homewares. He is still available for commissioned custom work, but he enjoys the chance to explore other realms of his chosen craft. From vases to trays to other decorative pieces, Brian takes the natural beauty of his materials and elevates them to display worthy, but still functional art. Brian’s favorite woods include cherry, walnut and occasionally white oak, classic choices for most american style furniture. He has also started adding resin inlay for a unique embellishment. For this master woodcrafter, a large part of each project is coming up with the idea and then watching it come together in tangible form - Concept to creation! The process for a lot of his recent work involves stacking layers and layers of wood that he then cuts into shape. 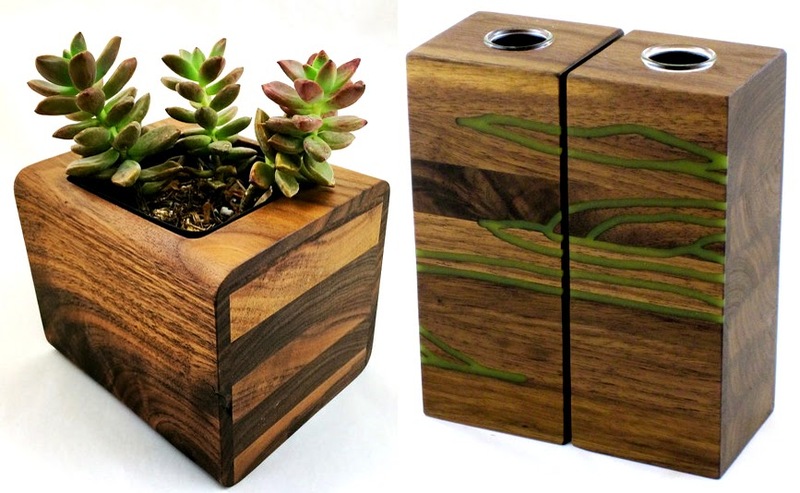 As such, he can often make a matching series of anything from vases to planters that are perfect side by side. 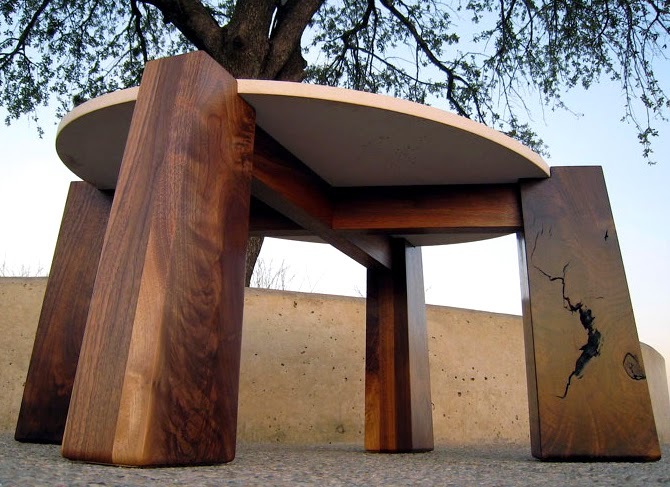 Brian finds inspiration in the work of other woodworking artists as well as the wood grain itself. 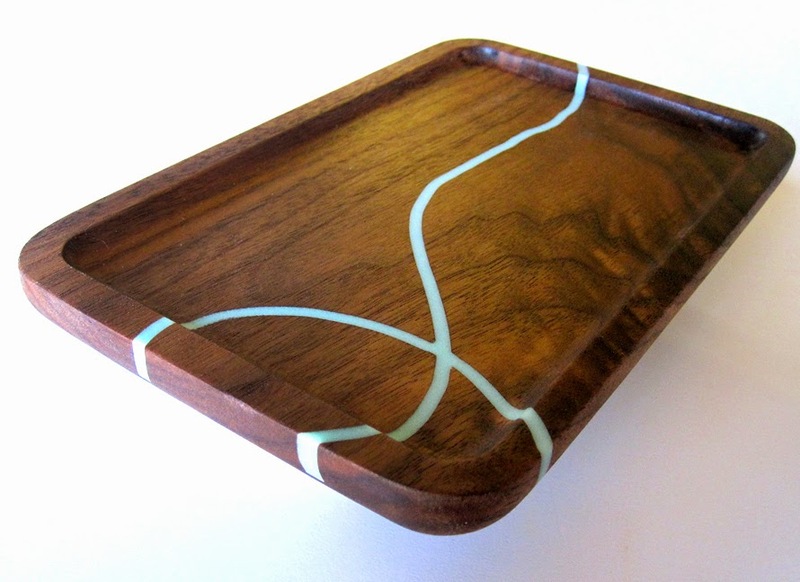 For his pieces with the addition of resin inlay, he lets the patterns in the wood guide his design, so they turn out wonderfully organic. Solid, high quality and full of natural beauty, that’s what comes to mind every time I see Brian’s work. When he’s not in his wood shop, Brian enjoys discovering the story behind other fellow artists. Check out his podcast series “Craft Words Dialogue” for yourself.